Bass Bottom Feeder: Primus Sucking/Streaming New Album! What can I say? I'm a big Primus fan. I'm also a big South Park fan. 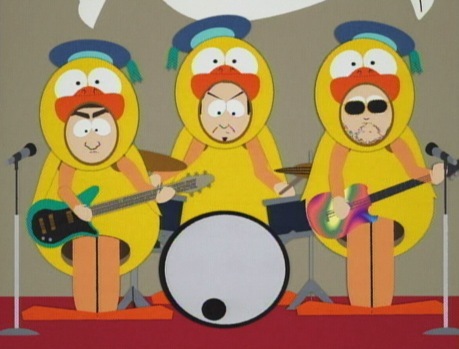 How ironic that Primus should choose to stream their new album in its entirety on the South Park FaceBook page. I think you have to be a fan of South Park to be able to listen. I am digging it as I type this. Go check it out.